This comment could not be any further from the truth, but it is easy to see why people don't see liposuction as the surgical procedure it is. In general, there is confusion around plastic surgery. Consider that medical professionals—from chiropractors to obstetricians—who have never trained in a plastic surgery program can call themselves “cosmetic surgeons.” Also, procedures such as liposculpture, microbody contouring, vaser lipo, smart lipo, cool lipo, etc. are advertised as procedures to remove unwanted fat, but are they? The former descriptors are simply marketing terms for liposuction. In short, liposuction is liposuction. Aside from following a nutritious diet and participating in vigorous daily exercise, the only way to remove unwanted fat from your body is through surgery. Vaser liposuction is a form of liposuction that uses ultrasound to pulverize the fat before it is suctioned out. Smart liposuction is a form of liposuction that uses a laser to help pulverize the fat before it is suctioned out. Body jet liposuction or water-assisted Liposuction is a form of liposuction that uses a water spray to help break up the fat as it is suctioned out of your body into a container. 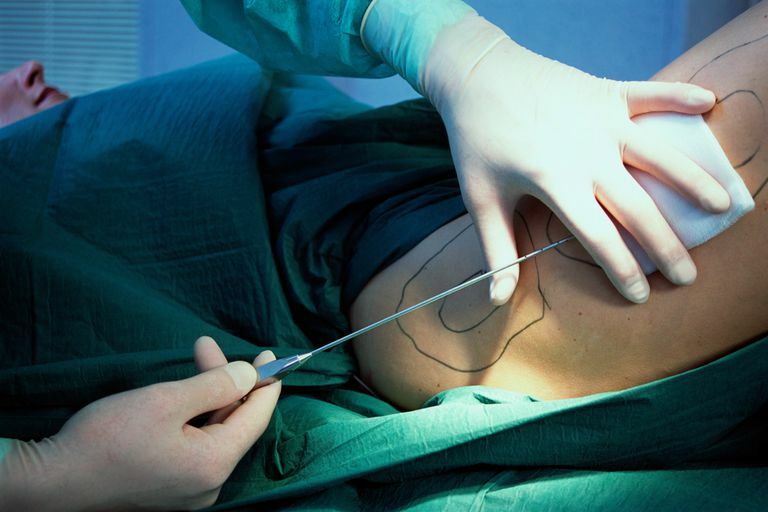 As with any real surgery, liposuction has risks and complications. Unless you are willing to accept the risks inherent to liposuction, then you should find an alternative way to get rid of your unwanted fat. If you are of a reasonable weight, have spots of fat that won’t budge, and are resistant to exercise and a healthful diet, you may be limited in your alternatives. You may be a good candidate for liposuction. However, unless you already have muscle tone via exercise, no amount of liposuction is going to give you that natural toned look that comes from actually engaging your muscles in movement. Furthermore, while liposuction may appear to be the easier way to look slimmer, this is not necessarily the whole truth. Depending on the number of body parts you have treated and the amount of fat you have removed with liposuction, you will need some downtime, you will be sore, and you will likely have to take some time off of work. Every person is different, thus the amount of time for recovery will vary from person to person. The initial swelling from liposuction resolves in about six to eight weeks, however, changes can occur for up to four to six months. In this same time, you could have hit up the gym and improved your diet, for less expense, even with the cost of a personal trainer and a dietician or nutritionist. In short, liposuction is indeed, real surgery. There is no form of liposuction that feels “like a massage.” If a plastic surgeon presents liposuction surgery as this, find another surgeon.